I love teaching, and I love Math. I've been preparing students to succeed in the SAT Math for the past 5 years and my students have master the subject. I specialize in online lessons. I use the student's book or my own materials. I love working with students of all ages and experience levels and I can't wait to meet you! I love teaching, I can teach you at where you at and take you where you need to be. I only need a student with the desire to learn and to practice. I like to help students realize they have the intelligence and ability to solve the problems on their own, they just need the right direction. Nothing is too difficult once we understand how to do it! Tutor Math, IR, Verbal, and AWA. Tutor Math, History, Spanish, and Geography to students from 9th to 12th grade. I took the computer based test and passed with a good score. 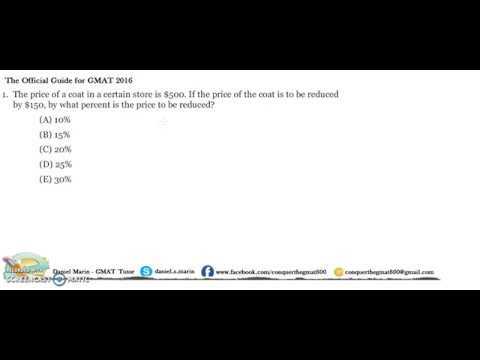 Here is one example of a quantitative question from the Official Guide. This is a Math Problem, the topic is Averages. 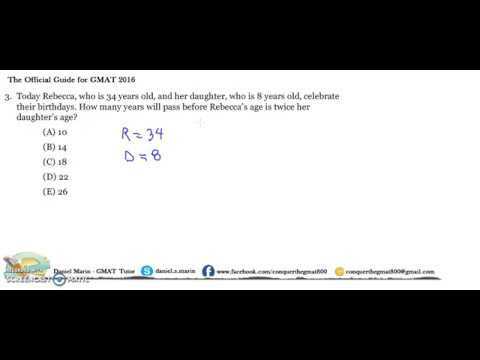 This is a Problem Solving (GMAT) math problem. The topic is Motion. Teaching kids at a summer camp. This is a freshman class, I am a guest speaker. Here is an example of Drawing Lessons. In this picture the student is learning to draw a face. Great teacher. Very kind and capable. I am a beginner and I greatly appreciate Daniel's patience and understanding. I look forward to many lessons with him in the future. Easy going and made the explanations easy for my daughter to understand. Daniel helped my daughter with her math. She has been struggling and after one lesson I could see a whole shift in her attitude towards math. Thank you so much Daniel! Does a really great job of explaining and breaking down individual problems. Helps to allow the student to see the perspective of the test takers! Daniel is a great listener and a good motivator. I love how he will do your entire lesson in Spanish to help fully immerse you and reinforce what you are learning. I am looking forward to my future lessons with him. Danial is a very good teacher. He has all the patience in the world. My 9 year old son likes him very much. Daniel is a very good teacher. He shares as he learns about his subject, is patient and encouraging. I highly recommend him. The first class with Mr.Daniel was great . He was professional,patient and very helpful .My son enjoyed it and made him more excited about chess. He can’t wait for his next lesson. 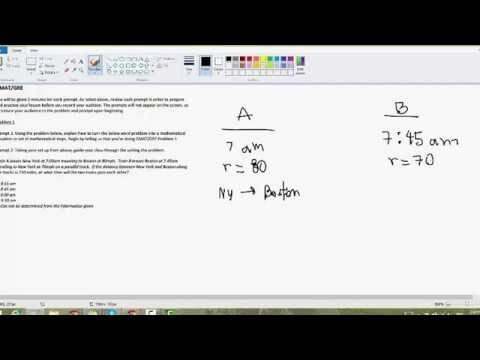 Very helpful and skilled strategy for SAT PREP. It was my first lesson and Daniel was very patient with me. I feel like we are off to a great start! Awesome teacher, who listens and implements what the parents envision for the child! I enjoyed my first lesson with Daniel he is very patient! Daniel is very knowledgeable, patient and flexible in his learning approach. He works with the student to align on an approach that will work for them. I've had 4 lessons and gained more in that short period of time than with previous instructors. Daniel is a great teacher-I am becoming more confident in my conversations. He is Knowledgable and affordable. He is a good teacher, always ready to answer my doubts and had a good internet connection. He is also very flexible with the schedule, which is good for me because of my work. Daniel is a good teacher and recommends good text books as well. Due to my time difference in locations of Daniel and me, He was often having his dinner or taking care of his child which made the connection a little difficult to hear. But he tried hard to make certain I understood the material. Overall, a good teacher. Daniel has been adjusting the schedule flexibly and he has helped my son a lot. My son had been struggling with his Math class, however, it became much easier for him to catch up with his class as soon as he started to study with Daniel. I appreciate that I could see his progress on his grade. Thank you, Daniel! Very good, clear and practical instructor. Fantastic instructor. Really clear, thoughtful and helpful. I needed to get 690+ and I had bad experiences with other academies and tutor in the past. He gave me the foundations and the confidence to achieve my goal. This was the first lesson for my son. He was actually surprised and thought that it was a great first lesson. He said that Daniel reviewed the concepts with him which allowed him to solve the problems. He is motivated and is looking forward to his next lesson. This was my first lesson with Daniel. It was very informational and fun. I am so glad Daniel has patience because he has a very long way to go with me. I am looking forward to several more lessons at least 18 months or so. Awesome teacher!. He was patient with my son to explain a complicated part again and again. He has the resources to teach and is very knowledgeable. It was a pleasure to obtain his assistance with Algebra 2. Respectful and humble. Daniel is great. He helps my son understand his lessons by going at a pace he can keep up with. I was not sure what to expect for my first online class, but I was surprise it was a great overall experience. I will recommend you to try online lessons if you have not done it before. You will enjoy the experience! I had many doubts before getting tutor by Daniel. He gave me the confidence I need it to have to solve the problems on my own. You won't regret having him as your tutor. Daniel is a great teacher, his explanations are clear and simple. I tried a couple of tutors before but no one managed to help me as good as Daniel did. First time user on Take Lessons. He couldn't provide all the study material as first initiated and seldom sat in a quiet area to provide lessons so the lesson would be distracted by noises in his background. Dissatisfactory service. Highly disappointing. My oldest has struggled for the first time in a math class this past year. At the beginning of the year I accepted he just didn't mesh with his teacher's style but as his grades continued to plummet and everything we tried at home wasn't working I finally reached out for a tutor. I wasn't sure how well Algebra 1 tutoring would work this far into the school year (Q4) . I'm not a stickler for grades, I just need to know my children understand the concepts they are supposed to be learning. And I needed someone who could really evaluate Tommy based on where he is now, what he's missed in the classroom and how to give him that solid foundation in Algebra 1 so he can be more successful next year as he goes into Geometry and eventually into Algebra 2. It was a very frustrating year for both Tommy and myself to have him struggle in it despite all the support he had from his step-dad and I and virtually none from his teacher. I was watching my son who every previous year LOVED math start to just hate it. So I turned to Daniel M. as a bit of a last resort. I wasn't sure if he would be able to evaluate where Tommy was struggling, shore up the missed/misunderstood concepts and teach in such a way that Algebra made as much sense to Tommy as all his previous maths did. I have to say, Tommy and I are both very impressed with Daniel after just the first lesson! Tommy came away excited with how easily it was for him to absorb the information Daniel laid out for him and how it's 100% a better fit for Tommy to understand the equations after just the one lesson! I wish I had the money to just hire Daniel for tutoring much more often, but thankfully he is so good at breaking down where the confusion lies on Tommy's end and explaining it in such an easy to comprehend way that I am fully confident Tommy will end this year on a high note in both his confidence and his grades. I can't wait to see where we go from here! Daniel has been helping me staying on track with my Spanish. He is a good teacher and very flexible with scheduling the classes. I recommend him. I'll definitely use him again as soon as my schedule gets less hectic. 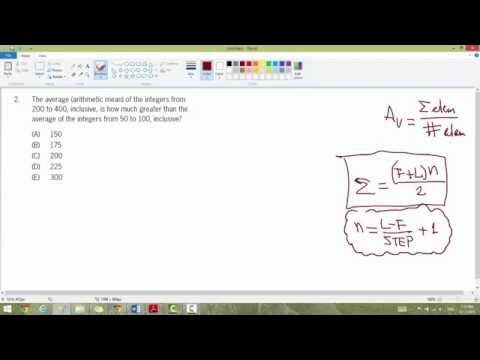 I am new to online lessons, so I wasn't sure what to expect from our lesson. I was pleasant and surprise to see that I enjoy the class and learn a lot from my tutor. I will recommend him! Daniel is already helping my daughter (7th grade) to improve her Math. I recommend! Only started, so far so good, will see how it goes. DANIEL HAS BEEN A BIG HELP TO MY SON. Daniel has been such a huge help in tutoring my 12 year old son! I had chosen Daniel to help my son, as one of the many options of homeschooling. It didn't take long to choose him after I had the great reviews so many people had left for him, and he is beyond affordable! My son is also very happy with Daniel. He likes that he teaches him different ways of solving different problems. It makes it easier for him. He rather Daniel teach him math as well because he says Daniel is more patient with him then I. I have to agree. I also, no longer have to deal with the preteen hormones giving his.mom a hard time. He respects Daniel and doesn't want to let him down. As an added bonus Daniel teaches Spanish, for the same fee! So very affordable!! Zach choose not to learn Spanish, however, we licked out because Daniels lovely amd very patient wife teaches/tutors French The language Zach elected to learn first. It was a win win for us. We couldn't be more satisfied! If you need help in Math, this guy is the way to go! I can't stress it enough! Daniel, is a great tutor for my granddaughter. Really like that he works with our scheduling. She feels comfortable being tutored by him. Daniel is very patient and makes sure I am comprehending what we are going over. This is very important to me to make sure I am grasping the information. Daniel, does a great job of explaining Spanish as well as giving good resources. I highly recommend him. He is flexible with scheduling and is easy to contact if I have questions. I often feel foolish when speaking Spanish but Daniel is not judgemental. I will be having many more lessons with him in the future. Daniel does a great job he has been working with my 7yr old daughter and she is learning so much. He takes the time to explain things to her slowly making sure she understands the material. I couldn't be happier! Daniel is an amazing tutor…I just signed up to take more lessons with him. 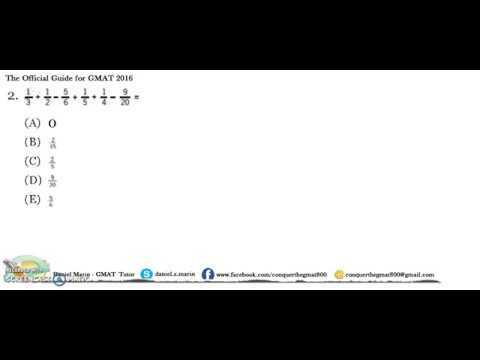 I have been out of school for more than 9 years now and Daniel has helped me tremendously on my quest to GMAT success. I was a little hesitant at first about taking lessons online through skype, but boy am I glad I did. If you are serious about taking the GMAT or as I like to call it “My Nemesis” and are contemplating getting a tutor, Daniel is your guy. He is patient, flexible with his schedule, and his methods of teaching are easy to understand. Overall it’s been an awesome experience with a very talented and professional educator. The session had a few technical glitches, but Daniel was very helpful and resourceful in getting pass them. He seemed to teach my son with ease, being able to go back to points that may have been missed in order to get him to the current level. Recommend ... Nice person , well organizes . He was wonderful ! He was able to help my son with the correct pronunciation of words and proper use. I can see that my son's grade is going to greatly improve because he's finally getting the extra help that he needs from a competent teacher. First time doing online tutoring. We weren't very well prepared with material to review. He was able to turn the experience into s productive lesson. First class was very good. Strong teacher who explains clearly. Daniel custom designed Spanish lesson for my daughter. He also very professional and easy to communicate with. Although my daughter only had one lesson with Daniel she totally enjoyed it. It was my first class and it was great! Daniel is a great teacher. He knows a lot and explains everything clearly. Daniel communicates very well, and he is very skilled at Math. He offers classes via Skype, and he will work with your schedule.